In the heathen tradition, Balder is certainly one of the most popular, but also one of the most perplexing gods. He seems to be quite well known. Almost everyone has heard of him or, at least, knows his name. But actually, very little is known of this divine character. We hardly find a book which would deal exclusively or mainly of him. Indeed, among the northern folk, he could even appear too gentle, too smooth and polished, not exactly a warrior. Meanwhile, some place-names and other archaeological or documentary evidences show that Balder was of great importance. And on a symbolic ground, his myth is probably one of the main events of the heathen way. Anyway, it appears more complex, interesting and compelling than he seems at first sight. And Georges Dumézil – the father of the indo-European studies and trifunctionalism theory – spoke of him as the “ruler of an age to come”. We are going to survey the elements that could show that Balder was an important god and that he could appear as a good god for the third millennium, an exact northern and powerful Apollo, when we have to present our faith and make understand what we are. Certainly, most of the Odinists, Asatruar or northerners of any kind know the main elements concerning Balder. According to the Edda, he is the best and fairest, the most famous and beloved of the gods, son of Odin and Frigg 1. But he was doomed to an early death. Snorri Sturlusson’s version of this death is one of the most famous tales of the north: We learn how Frigg had gotten everything in the nine worlds “likewise iron and metal of all kinds, stones, earth, trees, sicknesses, beasts, birds, venom, serpents” except the small mistletoe to swear not to harm his son 2. Then the gods play a game in which they tossed weapons at Balder who stood on the Thing. Meanwhile, Loki in the shape of an old woman, had gotten the secret out of Frigg and cut an arrow of mistletoe, putting it in the hand of the blind god Hödr (Balder’s own brother) and aiming at Balder. Of course, Balder died and went to Helheim after a great and archetypal ship-funeral. In Helheim, Hella said that she would let him go if everything in the worlds would weep. This happened except for a giantess named Thokk who was again Loki in disguise. Balder and Höder reconciled will come back after Ragnarök and will rule in Odinn’s place 3 (just say that Höder could be Odin himself, but we shall see briefly this point below). Many scholars have tried to put this story in the context of a fertility god – mainly a middle-oriental god, like Tammuz, Dumuzi, Adonis a so – who is slain and then revived. But, apparently, his death and return are neither seasonal nor connected with the fruitfulness of earth. We do not have evidence of such cult concerning Balder. For these reasons of death and revival, Balder has often been equated to the oriental Jesus Christ. Or for the least, scholars have claimed that Balder’s story has been influenced by Christianity. Actually, more and more specialists tend to think today that it is exactly the contrary and that the story of Christ in European countries has been inspired by Balder. For example, it is the case of an old Anglo-Saxon poem (7th century, at least, on the Ruthwell cross, Dumfriesshire), the Dream of the Rood. Although this text seems to deal with the death of Jesus Christ, it appears that many details do not match with the Christian myth of crucifixion and would be based on Balder’s figure and story. In this old poem, we find a Christ who is a young Germanic warrior, strong and shiny and undergoes a fierce and brutal heroic ordeal. When the Bible Christ is wounded with spear or nails, this Anglo-Saxon one is victim of “arrows”. It is even said that “the whole world weeps” after his death, a detail which appear in Balder’s myth but not in the Christ’s story. Better still, to describe the gloomy fate of the hero, the author used the term “Wyrd” which certainly do not belong to the Christian terminology. If the author of the Dream of the Rood wanted to speak literally of the Christ, it was simpler to tell of the real story of Jesus. But here the idea was probably to speak again of an old myth, just giving the name of Christ to make it more acceptable by the new intolerant Christian power. And this text predates the Norse invasion, thus it is clear that Balder’s myth was present in the Germanic and Anglo-Saxon traditions. This connexion of the Christian hero with Balder is easily understandable. It has been said for a long time that the western and solar Jesus Christ had been based on Apollo, the Greek god. However, Apollo was specifically a Dorian god, that means he came from the north, as the Dorian were northern invaders of early Greece. When we survey Balder’s features, we may see him as an apollonian figure more than a Christian one. Indeed, Balder and Apollo would be the same god. The Greek-roman tradition assumed that Apollo disappeared six month a year hyper Borea, that is « beyond the northern Wind ». Balder, as a solar divinity, disappeared during the six months of the winter half of the year, to go south. Anyway, all the elements given by Snorri that feature Balder only as a beautiful, suffering and rather passive god are very suspicious and hardly consistent with the rest of what we know. Anyway, many scholars think that Balder is not a personal name but a title (as Frey and Freya, which means respectively “Lord” and “Lady”). It would mean “ruler”, “lord”. We could not know the real name of Balder in the Norse tradition. Concerning specifically the Anglo-Saxon world, modern northerners in this area think that Balder is a norse god that is ignored outside of Scandinavia. Actually, apart from the Dream of the Rood we saw earlier, we may find this character through texts and place-names. First of all, it may appear as Baldaeg in different places and texts. This name means “dazzling, or brilliant, day”. In his dictionary, Rudolf Simek reports that we also find names like Baldaeg Wodening. This royal name is typical Anglo-Saxon. In the chronicle of Aethelward, it is replaced namely by Balder. Even Snorri tells us in the Edda that Baldeg is Odin’s second son: “Baldeg, the one we call Balder”. As Simek mentions: “Baldeg could be an English form of the name Balder, from the old English, Bealdor: “prince”, “sovereign” (which remind us the title “ruler” we have already seen). But let us come back to the story. The Eddic narrative of Balder’s myth – with this good solar and rather passive character – is not the only version of this tale. The Danish Saxo Grammaticus tells us a quite different story. In his Gesta Danorum, Balder (named Balderus) is always the son of Odin, but he is an aggressive and almost cruel demigod. Again, his brother is Höder (Höderus, who is not blind here) and, together, they compete against each other for a woman, Nanna. In this text, Höder is certainly more positive than Balder. The latter gets his strength from magical food. One day, Höder meets three “forest-maids” (3 Walkyries) who tell him that they may provide him with this powerful food. Then, he follows them, eats it and is able to mortally wound Balder. This Saxo version is probably a euhemerized story, thus it is less directly interesting from a religious point of view. But, besides his name, this warrior dimension of Balder helps to see him as a more complex figure. Saxo’s Balder, his character and the circumstances of his death, remind us of another famous northern figure: Sigurd/Siegfried. This latter – grand-son of Odin – is the most beloved hero of the Germanic folk, when Balder is the most beloved of the gods and the son of Odin. Both heroes and gods imply a powerful concept of high sexed virility, of masculine potency (which we shall not find in the eddic version). But even the Eddic text does not present him as a simple innocent god. Firstly, he is a wise one whose dreams tell him of his own orlög and other secrets, as in Saxo’s account or in the Baldrsdraumar, the Balder’s dreams. In another major text, the Lokasenna, the Loki’s wrangling, where Loki taunts the assembled gods and goddesses, we see a furious Frigg who says to him: “If a son like Balder were by me now, here within Aegir’s hall, from the sons of the gods, thou shouldst go not forth, till thy fierceness in fight were tried.” Then Loki answers: “Mine is the blame that Balder no more thou seest ride home to the hall.” 9 That means that Balder could have been a great warrior who could have beaten Loki and because Balder is dead, the trickster Loki may dare anything (even as Thor is there in Aegir’s hall). But the most important theme of the Balder myth – and the most religiously relevant and useful – is the idea of sacrifice which is quite certainly native Germanic (and not suspected of Christian contamination). It has often been observed that in an old poem, the Husdrapa (Xth century), Balder is called “heilagr tafn”, that means “holy sacrifice”. The very word tafn was used only to describe heathen sacrifice/gifts to the god/esses and he never could be given a christian interpretation or be used in a christian context. Furthermore, the Husdrapa, exceptionally written by a heathen author 10, shows no taint of Christian influence. Therefore, as The Dream of the Rood, it puts back Balder and his sacrifice in a northern heathen background. One would say that the real murderers are Höder (in old Norse, the handbani, murderer by hand) and Loki (in Old Norse, the radbani, murderer by advice). Thus, what of Odin/Wodan? Indeed, many scholars as Turville-Petre, de Vries, Polomé, aso, consider that, for several reasons (for example, their names) which could be long to deal with here, gods like Höder, Vali (who take revenge of Höder after Balder’s death) or even Loki must not be seen as independent figures but rather as aspects of Odin himself. 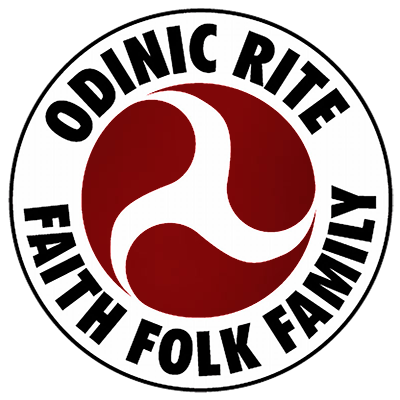 Höder’s blindness recalls Odin’s disabled vision (he is the one-eyed god) especially when one considers that one of Odin’s numerous nicknames was Tviblindi, “blind in both eyes”. As we have seen, in the Eddic version, Höder’s hand is guided by Loki, which is the darker side of Odin himself. The death of Balder is not the pure triumph of disorder and destruction, the announcement of the Ragnarök, as Snorri tells us : it is rather the fulfilment of Odin’s plan who has managed to have Balder killed for his own mysterious reasons, as he was responsible of the death of his son Sigmund, Sigurd (that is Siegfried)’s father 14. The interpretation of Odin/Wotan as the main responsible for Balder’s death rests on several points. Firstly, the All-father is responsible for the unfair death of many of his most faithful children or followers. For example, in the Gautrekssagga, we see the god giving Starkad a reed to aim at king Vikarr’s neck in an alleged mock sacrifice. Of course, as in Balder’s case, the innocent game will become a real murder. We could quote to the Styrbjarna thattr which offer a similar story or the fate of Hrolf Kraki, Heidrek, Erik Blood-axe, Sigmund the Volsung (Sigurd/Siegfried’s father), Hakon the Good, etc. The list of heroes, whom Odin blessed, then betrayed only to have them slain and sent to Valhöll/Walhalla in the end is long. The god is well known for deeming the deaths of his faithful supporters. Even the use of a seemingly harmless weapon which becomes deadly is characteristic of Woden’s sacrifices (again, see the Gautrekssaga). wants to shelter his son – during this Ragnarök – until the coming of the new golden age, in which Balder will have a to play a leading role. Following Jan de Vries, the tale does not herald or bring forth dusk, destruction or disorder, but it veils an initiation process in which the young warrior’s death is symbolic. Among the company of fellow men, the young “apprentice” is slain and is reborn in a new “enlightened” life. And the new initiate is replaced – as apprentice – by a new young man, his own avenger, Vali (that means “Little warrior”), whose first task as candidate to initiation will be to – at least symbolically – seek out and slay his enemy to prove his abilities. Actually, on the human level, the account of Balder serves as a fitting and relevant model for the wodanic initiation of a young (“inner”?) warrior and initiate (we could deal with the connexion between this initiation myth and the Masonic myth of Hiram which is the main part of the third degree of initiation and where the mistletoe, for example, is replaced by the acacia. But again, it would be too long here. Just mention, that, even in modern circles, this initiation myth could appear as a superior one). Wodan seldom actually slays his own victims: he deems their death, but leaves other hands to carry out his sacrifice. We may even compare Balder’s death to the sacrifice of Odin on the World-tree when runes come to him. According to the Runatals of the Havamal, Odin-Wotan dies (killed by a missile weapon as Balder; a spear for Odin, an arrow for his son), sinks down (like Balder in Helheim) and return more mighty than before (like Balder who becomes the new Wodan and bring back the secret of the golden tablets he rediscovered in the grass of the Ida valley). For this reason, Balder is not meant to come back before Ragnarok. This is the great secret (a secret kept from all – even the other gods and goddesses) which Wodan whispered in Balder’s ear as his body lay ready for the bale-fire 15 : Hel will hold him safe through the last battle 16 and bring him forth in the new golden world. And during this time of sheltered transformation, Balder will have to complete his inner initiation, to discover the great golden secrets of the runes to help the future world to be reborn and rebuild. This is the greatest secret of the north, the eighteenth song of Havamal which Woden will not tell, the secret of the Grail which disappear as soon as it is read. Balder’s death is not, as Snorri makes it – and again, that shows that the Christian writer Snorri is not for us a reliable source – the beginning of a fall into hopelessness, but rather a great hope for the worlds to be preserved. When they are back from Helheim, Balder (the shiny god, symbol of day, summer and light) and Höder (the blind one, symbol of night, winter and darkness) together represent the hidden seed of Wodan’s soul; their return from the land of the dead is his own return to life. Together, reconciled, they are the conditions of rebirth, the polar embodiment and symbols of unity, or more precisely in our world view, of multiversality. Maybe in the prime origin, the myth of Balder was that of a fertility god, maybe among an ancient people before the coming of Anglo-Saxon ancestors. But it evolves to give place to the “Lord’s” rule. And, in this myth, which is superior to the Christian doctrine, man and woman are equal, when we see the relation between Balder and Nanna (an echo of the old great Goddess Anna, Dana, etc), that it has not been possible to deal with here. This is why Balder provides a very good figure to put forward. As Vodan, he is Grimnir, the masked one. It appears as a gentle and solar god, which is not so gentle in the end. But surely, he is the ruler, the custodian of the rite, which is the rule of the world. He shows us that gods – as everything –, die and revive. Before ending, just let me tell a word on Forseti, Balder’s son. He was the great judge, the president. These two gods have a connexion with law. When none may “gainsay” Balder’s judgments, Forseti is the perfect judge who settles all disputes: “All that come to him with such quarrels as arise out of lawsuits, all these return thence reconciled” 17. But the main interesting thing is that Forseti was the god of Heligoland, the Holy island of the Saxon in the North Sea. This island was named once Fositeland from the name of this god. This point may enhance the importance of this quite unknown divinity and of his father Balder. As Grimm says:“Forseti is a proof of the extent of Balder’s worship”. Concerning Balder, there would have been a lot of things to deal with – for example, the links between his story and Robin Hood, another warrior-judge, or between his myth and the fairy-tale Sleeping Beauty/Briar Rose, or the symbolism of the Draupnir ring which “every ninth night there dropped from it eight gold rings of equal weight”. But it was impossible for me to cover all this in so few lines. Balder is the bold and beloved god of the worlds that shall be after the twilight in a new golden age. He appears as a shining young hero who embodies all children to come and a meaningful seed of joy and hope. He represents that joy and hope hidden in the soul during the winter time (real winter times or symbolical, those are the times of woe and ill), but borne out as soon as the battle is ended and spring is back: the promise of rebirth on every level. Indeed, Balder embodies all this for the world and, especially for the heathen folk. I have observed frequently that, the general public, who do not know our ways, ignore that there is such an apollonian figure in the heathen tradition. And generally, Balder helps to make this way more acceptable and to give the desire to study it more deeply. Especially among the feminine public that we need to connect too. But, first of all, remember that Balder Grimnir is a true “inner” warrior, master of initiation, and that he has always a great secret to unveil. 1. See Snorri’s Gylfaginning, XXII. 5-9. footnotes missing from original article. 10. Most of the old pagan texts have been actually written by Christian clerks, as Snorri Sturlusson, who wanted to understand and change the old ways according to their own views. 11. See, for example, the tale of Sleeping Beauty/Briar rose. 12. The interpretation of Balder’s death as a holy and probably wodanic sacrifice is also borne out by the way in which it seems to appear on a number of bracteates of the Migration Age. 13. Polomé, Essays on germanic religion, p. 19. 16. Thus, when Hel says that he returns if everything in the 9 worlds weeps for him, Loki – the agent of Wodan’s hidden plans – refuses to shed a tear.